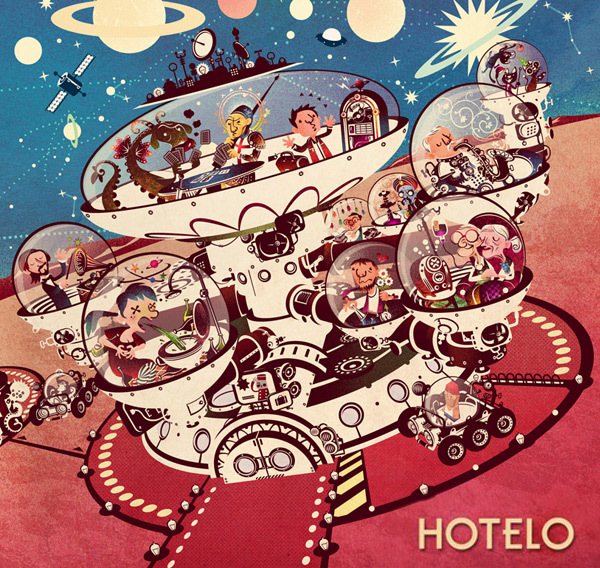 Brazilian illustrator Carlos Araujo created the illustrations for indie rock band Hotelo new album. The cover features a space base full of colourful characters. Each character is linked to one of the album’s tracks, so there is a lot of easter eggs for listers to discover… The album will be released on November 28th.